This topic contains 32 replies, has 6 voices, and was last updated by Gale 6 days, 16 hours ago. You care about a shrine to religion why? Not an atheist any more? 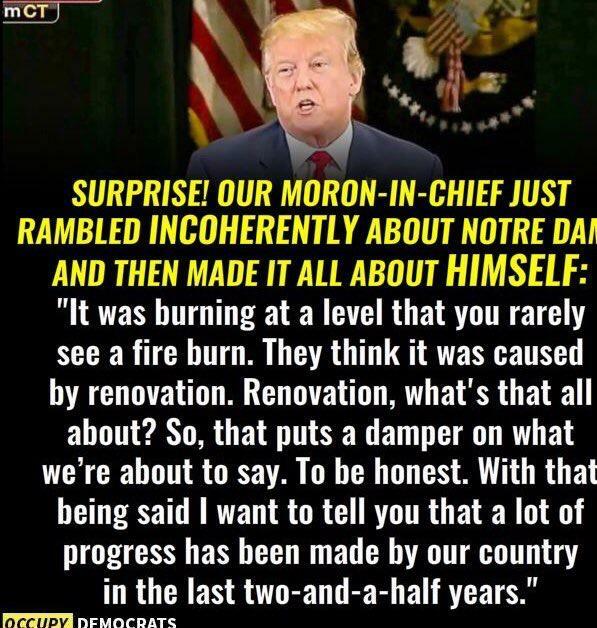 Trump started the fire to distract from the Mueller Report. And it’s working. That’s all that is on all the news outlets. 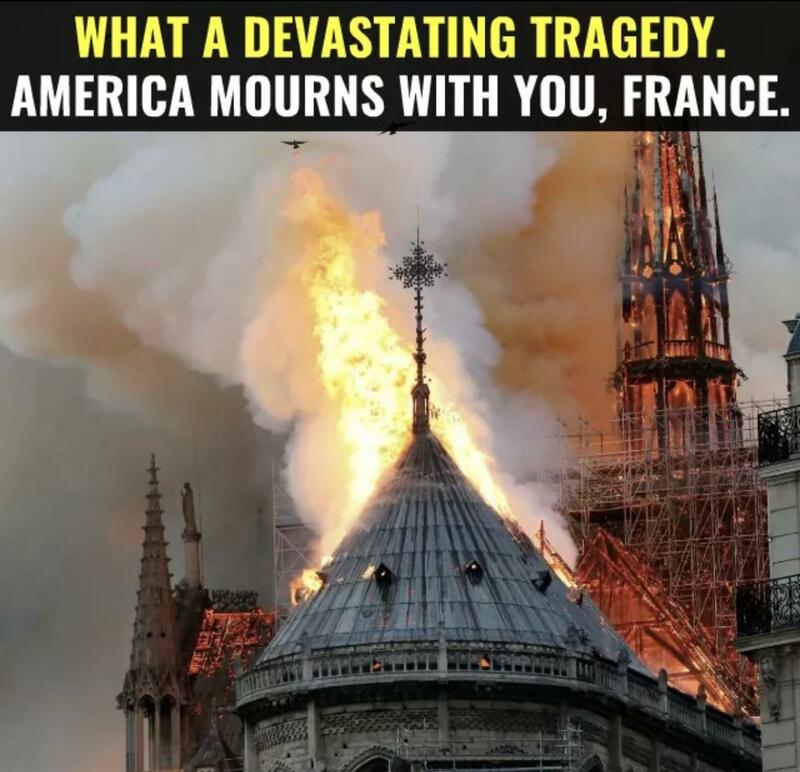 Did Trump announce that he now has the tallest building in Paris after the spire fell? Trump just announced the cause of the fire. They didn’t rake their leaves. Thank god (pun intended) that the Paris fire brigade has Trump to give them guidance. I’m sure they would be unable to do their job without it. And to think, he has bone spurs. Christian Rightwing Evangelicals who believe Trump was sent by God to be the president of US will now blame this on gay people, and call it a will of God? Police are questioning a person of interest diagnosed long time ago with Kyphosis. 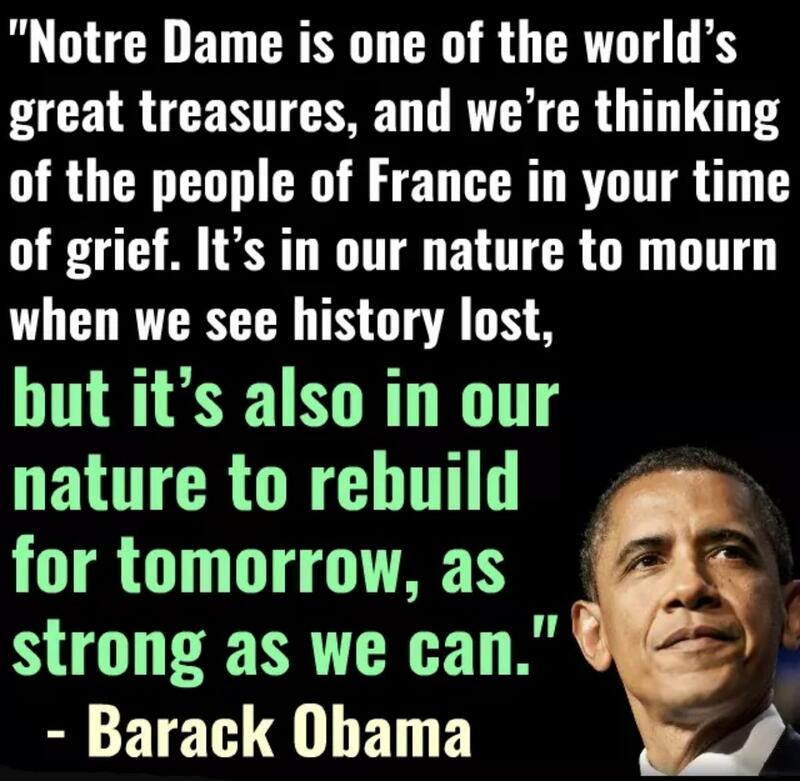 If you believe that god is everywhere then he watched Notre Dame burn. if you believe that god is omnipotent then he could have stopped it but didn’t. 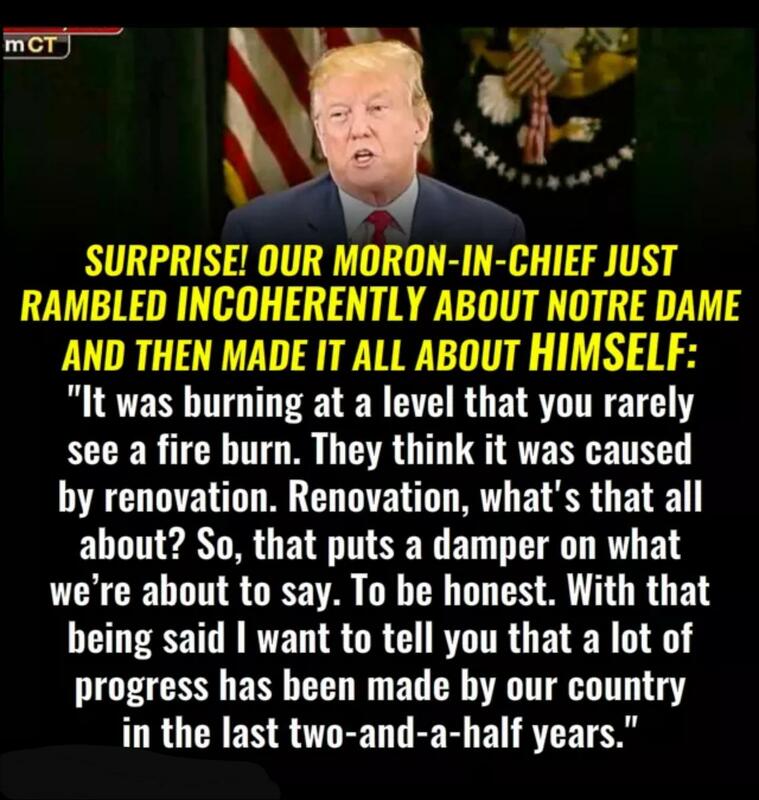 Donald Trump’s opinions are not given the attention by Europeans as the American media who spend hours every day on the narcissist’s risible tweets and bizarre utterances.